February 12, 2019 (Dallas, TX) – Hawkins Parnell & Young is pleased to announce that Troy Helling has been appointed partner-in-charge of HPY’s Dallas office. Helling will be responsible for the management and strategic expansion of the office, which represents prominent individuals to local businesses and corporate clients in a variety of litigation. HPY’s Dallas office opened in 2003 in response to growing client demands. For more than 15 years the Dallas office has defended national clients coast-to-coast alongside a team of 140 attorneys in HPY’s offices across the country. The firm has 18 lawyers licensed in Texas. Helling represents local businesses in Texas to large global corporations in high-risk litigation throughout the United States. He has extensive experience litigating commercial disputes, employment matters, breach of contract, non-compete provisions, fraud, and deceptive trade practice claims. 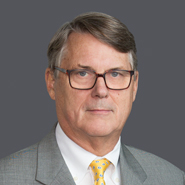 Helling received his undergraduate degree from Texas Christian University in 1992 and his law degree from University of Tulsa College of Law in 1998. He is the program chairman for the North Dallas Chamber Board and a committee member for Richardson Area Young Life.